After enduring a hellish, albeit brief period of withdrawal, I’ve successfully avoided wheat products for two weeks (replacing said wheat-stuffs with whole foods). 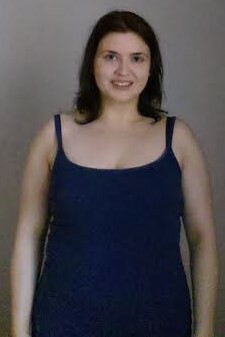 The benefits are already apparent – I’ve lost even more weight than on my previous diet (we’re getting into my teenage-years range), gained a lot more energy, and (for the most part) improved my mood. It makes weight-loss ridiculously easy. While the initial change requires a lot of discipline and resolve, after that you start naturally having less cravings and consuming few calories/carbs. For a lifelong Fat Broad such as myself, this is a godsend. It helps you reconnect with youthful ambitions. I feel and (I’d like to think) look like I’m 21 again. With my increased confidence and energy, I’m wanting to return to my younger self’s dream of becoming a well-recognized performer (without sacrificing my work as a teacher and writer). It’s an easy way to stick it to The Man. This whole thing has made me wary of government agencies and Big Food. While there are complicated issues of food supply and GMO vs. non-GMO involved with wheat consumption (I’ll write more on this later), the fact of the matter is that eliminating wheat (and, in my case, staying vegan) forces you to support local grocers/farmer, buy bulk, etc. While this decision is mainly based on health concerns, it has the added benefit of not supporting huge, problematic food distributors. Have you considered wheat elimination? If so, what’s making it difficult to make the leap? Now is the perfect time to resolve to change your eating habits…not January after the damage has been done. I read an article in the New York Times recently where there was a suggestion to have an “October Resolution” to avoid holiday weight gain versus a New Year’s Resolution to lose it. One thing that helps me through “Eatin’ Season” (as it known in my community of recovery-minded peeps) is to not eat ANY of the packaged crap that gets passed around this time of the year. If I’m jonesin’ for a treat, it needs to be something REALLY special. Defaulting to “NO” helps a lot…then it’s more a matter of what you don’t want to eat than what you can’t eat. This Is Probably the Least You’ll Weigh All Year. Sorry. And yes, I read your blog(s).